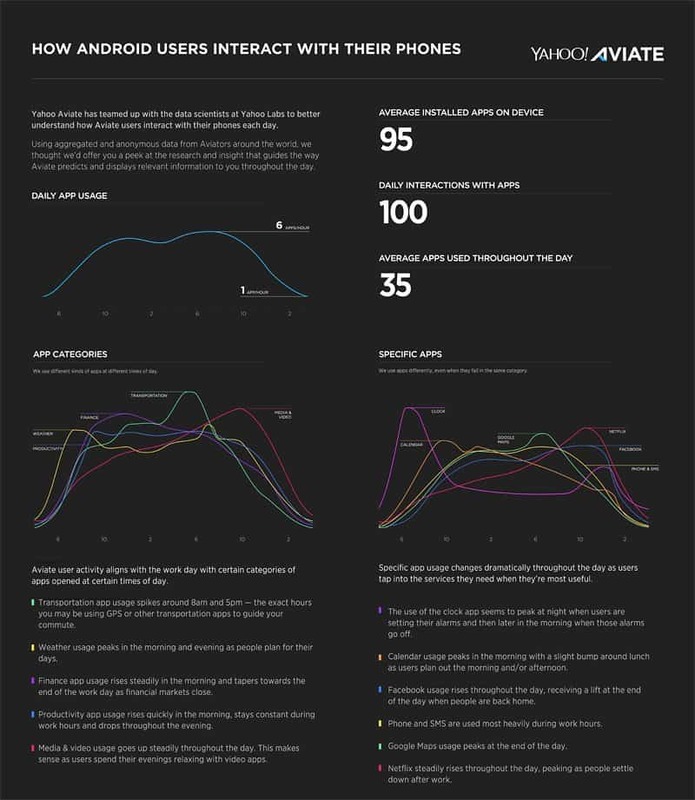 This is some kind of good analysis, we can now clearly see what people install and among those apps, how many they use. How many apps do you have installed on your Android smartphone? Hundreds of apps, lots of games and tool? Or just a few essential apps. This new report from Yahoo is quite shocking. According to Yahoo, an average Android user has 95 apps installed, but uses only 35 among them. 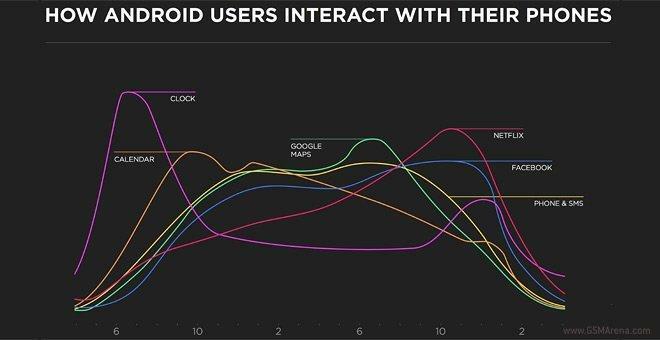 Yahoo also revealed that an Android user is likely to have 100 interactions with the apps per day. These numbers come from the Aviate launcher for Android, with the help of Yahoo Labs. And it indicated towards a lot of things. An average user will mostly check the weather at the start of the day, most people use navigation apps and then head over to social apps. Productivity apps like phone and messaging service apps are used most during the day, but at the same time, social apps like Facebook and Twitter sees a rapid increase as the day comes to an end. Well, it is very good for you if your boss doesn’t visit our site, because the next day, smartphones may be banned in your office, just because you use social an productivity apps a lot.